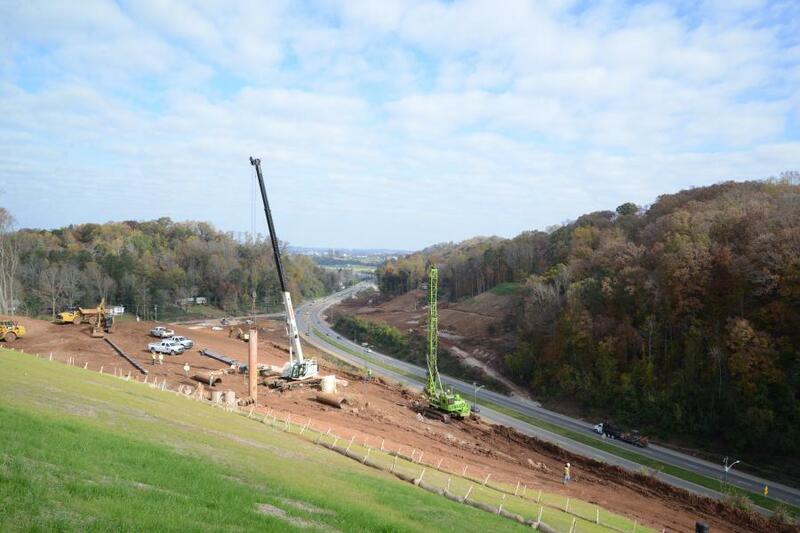 Charles Blalock & Sons of Sevierville, Tenn., was awarded contract for a portion of a multi-phase $71 million contract to realign and improve 1.69 miles of SR115/Alcoa Hwy south of downtown Knoxville, Tenn.
Charles Blalock & Sons of Sevierville, Tenn., was awarded contract for a portion of a multi-phase $71 million contract to realign and improve 1.69 miles of SR115/Alcoa Hwy south of downtown Knoxville, Tenn. One stretch of the new road requires retaining walls be 65 ft. (19.8 m) tall. 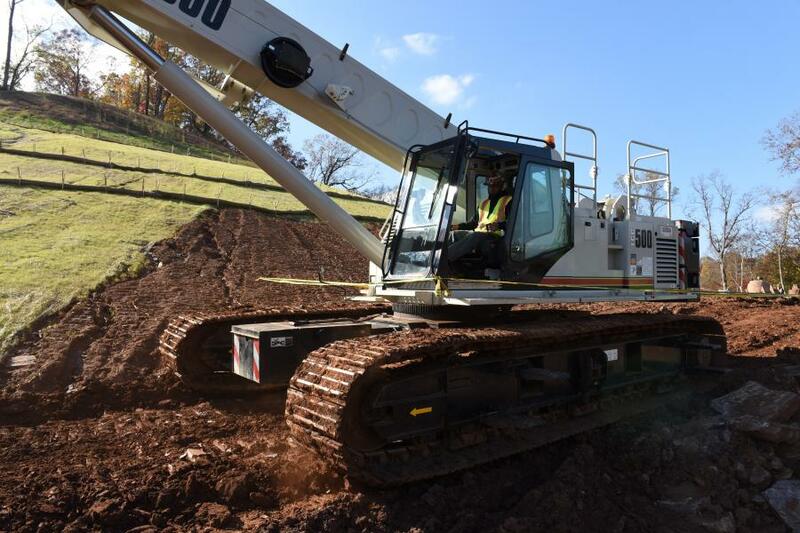 In order to handle the steep and narrow access roads at the top of the hillside, Blalock & Sons purchased a 50-ton Link-Belt TCC-500 telescopic crawler crane. When the TCC-500 arrived on site one of the first requirements was climbing a temporary road used by dump trucks and track hoes moving dirt near the face of the soon-to-be shored up wall. “Right out of the gate it had to climb to the top of the hill, which was a 30 percent grade. 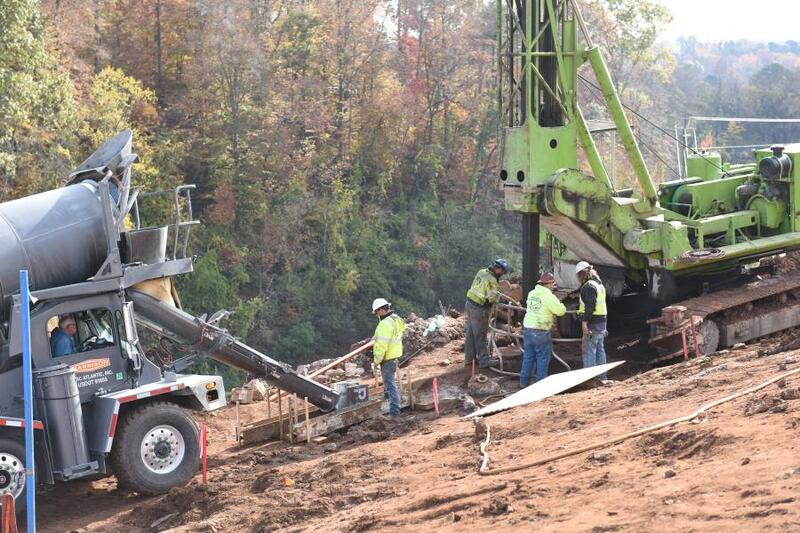 The book said it could go up to 40 percent so we were confident that it would make it up and it did just fine,” said Tim Payne, project superintendent of Charles Blalock & Sons. 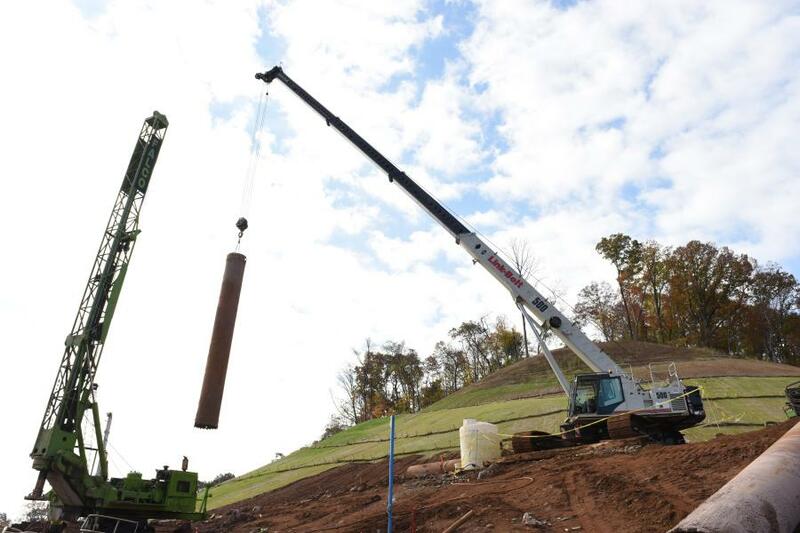 Aside from the steep terrain, the other time consuming aspect of the project is the granite formation being drilled through in order to build a soldier pile wall for shoring up 112 ft. (34.1 m) deep soldier pile. Once a hole is drilled out, the TCC-500 suspends a 15,000 lb. H-beam in the hole until it can be leveled. 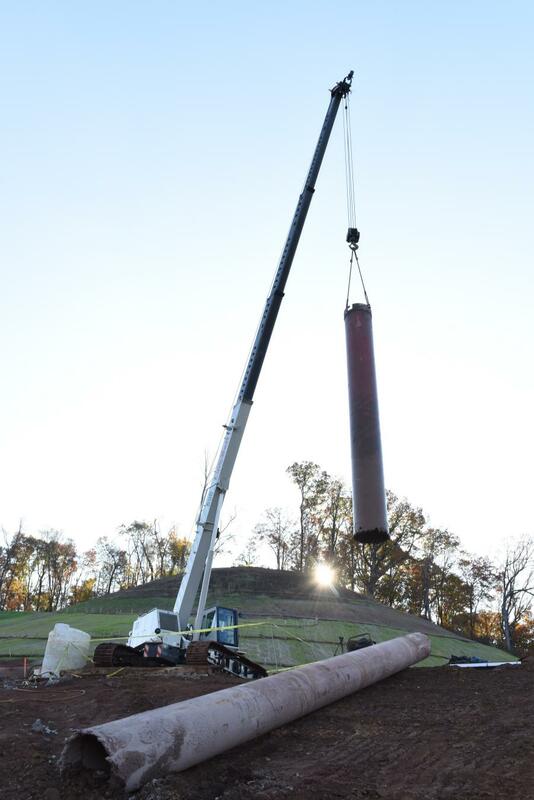 Once it is, the hole is pumped with concrete to be held in place. “We've really liked having the TCC-500 on this project, it feathers in with the controls nicely whenever we're handing off cans or whatever we need to pick,” said Payne. The project is scheduled to be completed by November 2019 with the most amount of time reserved for construction of retaining walls.